Section 4.1 reviews several important factors you should consider when selecting a template for your online business or social organization. 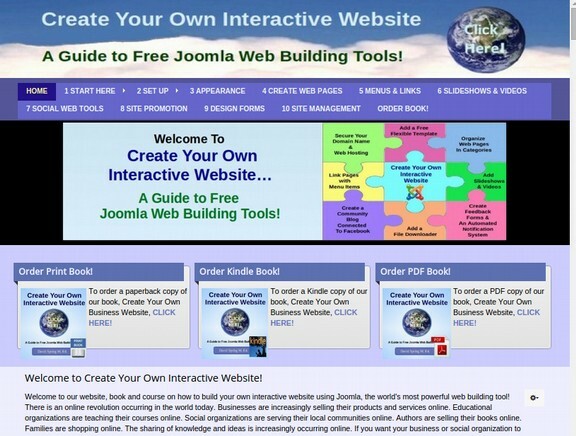 Templates are premade structures which help you control the appearance of your Joomla website. Section 4.2 explains how to download, install and set up the Sparky Framework template. Section 4.3 describes how to make your own custom header. A header includes the logo, image(s) and/or text at the top of your website. In Section 4.4, we cover the advantages and drawbacks of various layout options. 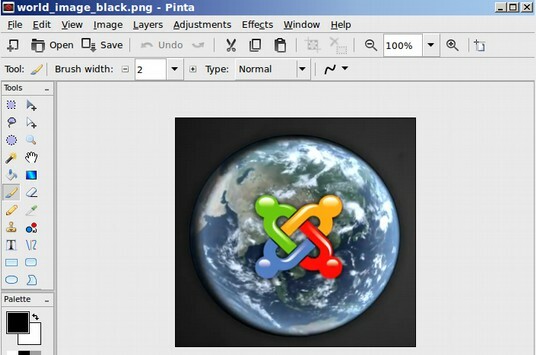 Layout refers to how the images and text on each of your web pages is displayed. In the previous section, we discussed several benefits of the Sparky template framework. 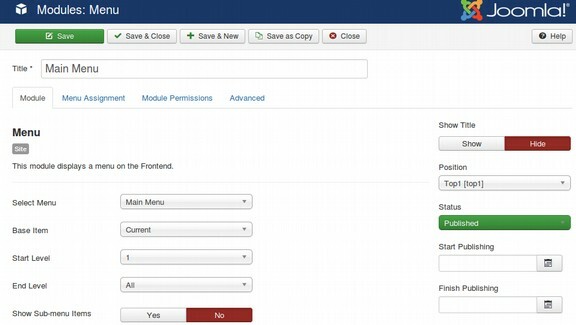 In this article, we will cover how to download, install and configure the Sparky template on your Joomla website. Then scroll down the page and click on the Downloads link. 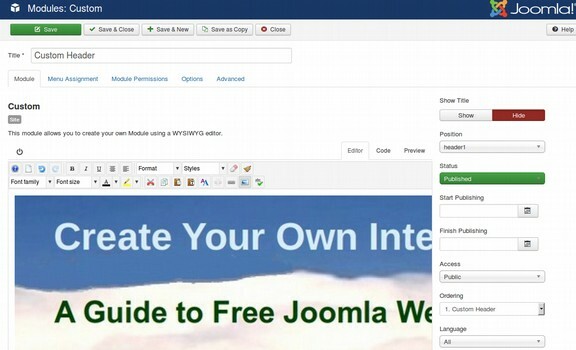 Then transfer the folder to your Joomla website extensions folder. Then upload the zipped folder with your Extension Manager. (Extensions, Manage, Install, Upload Package File, Choose File). Next, go to Extensions, Templates, Styles and click on Sparky Framework to open it. Then click on the Layout tab. Change the template width from 960 pixels to 96%. Then click Add Row three times. Drag the gray header1 box to the first row. 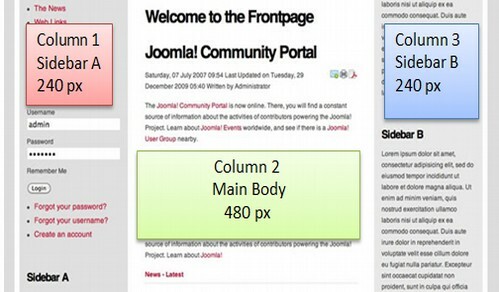 Drag the gray top1 box to the second row and the red Joomla Content to the third row. Drag the right edge of all three to the right to make them full width. 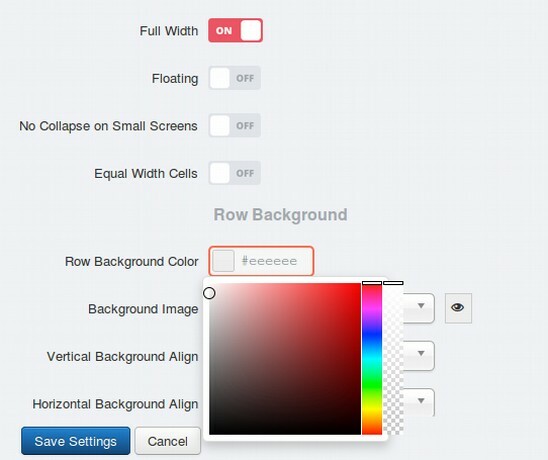 Set the Width for the header row and the Background colors for all three rows. To change the settings for the header row, click on Row Settings. Because we want the header to take the full width of the screen, change Full Width from No to Yes. Then add the background color #eeeeee (light gray). Then click Save Settings. Then click the green Save button to save this change to the server. Then click on the top1 Row Settings. 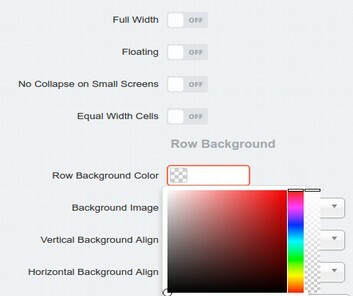 Change the Row Background color to #eeeeff (light blue). Click Save Settings, then Save. Then click the CONTENT Row Settings. Add the background color #eeeeee (light gray). Click Save Settings, then Save and Close. Then set Sparky as our default template. To see what this template looks like in the front end of our site, we will need to create a Welcome article for the Home page. Go to Content, Articles and click New. Call the article, Welcome to our Interactive Website! Type in a one sentence description and change Featured to Yes. Make sure the file size is optimized to be under 100KB. Make sure the file name is all lower case with no spaces. For example, header_2000x300.jpg. The image should have the website name, slogan and a background image. Then upload this image to your website by going to Content, Media Manager, Upload, Choose File. Upload the image to the top level of the Media Manager. Go to Extensions, Modules. Then click New. Then click Custom. For title, type in Custom Header. For Show Title, click Hide. For Position, select the Sparky Header1 position. 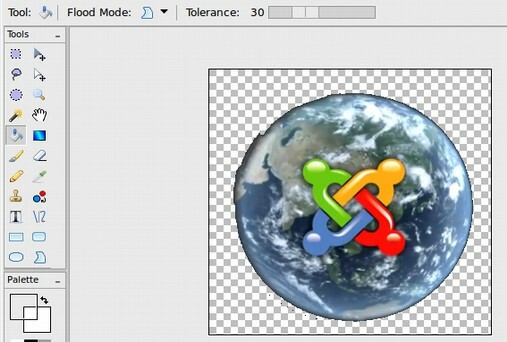 In the JCE Editor, click on the Image button and select the header image we just loaded into the Media Manager. Then click Save and Close. Clear the browser cache. Then view the front end of our website. Make the browser window narrower and wider and you will see that this header image is fully responsive in that it takes the full width of the screen regardless of the width of the browser window. Create two sample categories and three sample articles. We will create our real categories in a later chapter after talking more about how to structure our website. For now, because we would like to see what our Main Menu looks like, we will create two sample categories and three sample articles. We will then make menu items for each in our main menu. 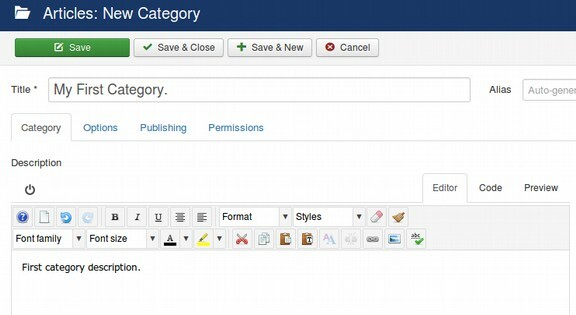 To make a new category, click on Content, Categories. There is only one initial category (called Uncategorised). Click on the green New button. For the title, type My First Category. Give it a description. To create a new article, click on Content, Articles, Add New Article. For title, call it My First Article. Give it a description. Assign the Article to My First Category. Now that we have some content, we can create menu items for this content so we can see it on the front end of our website. To create a new menu item, go to Menus, Main Menu. There is only one menu item called Home. Click on the green new button to reach the Menus, New Item screen. The first step in creating any new menu item is selecting the menu item type. We do this by clicking on the big blue Select button. 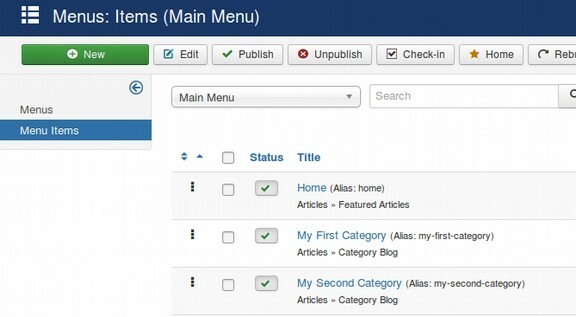 Joomla offers many categories of menu item types. Click on the Articles category. 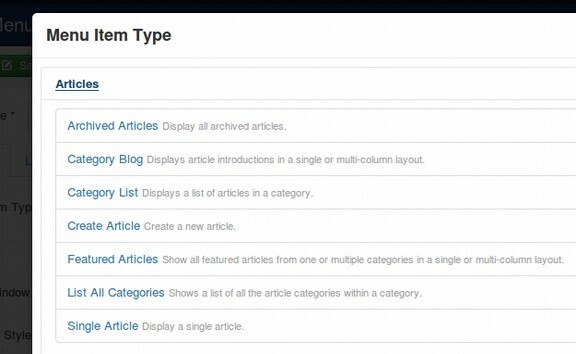 There are seven menu item types in the Articles category. We will explain all of these in more detail in a later chapter. For now, click on Category Blog. This will return us to the Menus, New Item screen. There will now be an option to Choose a Category. Choose My First Category. For Menu Title, type in My First Category. Then click Save and New. Repeat this process to create the menu item, My Second Category. Then click Save and Close. We now have three menu items in the Main Menu. 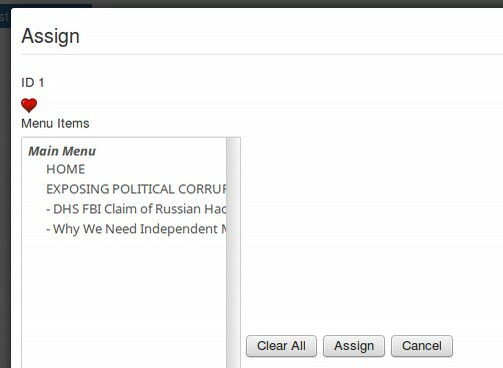 Click New to create another menu item. Click Select. Then Articles, then Single Article. This will give us the option to select a single article. Use the drop down arrow to select our first article. For Menu Title, type My First Article. Then for Parent Item, select My First Category. Click Save and New. Repeat this process to create a Single Article Menu item called My Second Article. Assign it to the Parent Menu item My Second Category. Then repeat this process again to create a Single Article Menu Item called My Third Article. Assign it to My Second Category. We now have six menu items. Note that the articles are indented under their categories to show that they are children of their parent categories. To display the main menu, we will need to put the main menu module in a position recognized by the Sparky template. Go to Extensions, Modules. Then click on the Main Menu module to open it. Change the Title from Show to Hide. Then change the position from Protostar Position 7 to Sparky Position Top1. Then click Save and Close. Then view the front end of our site. The default option is to display the Main Menu as a simple list. To change this, go to Extensions, Templates, Styles and click on the Sparky template to edit it. Click on the Menus tab. Then click on the Main Menu. By default, the Main Menu is set for None meaning no style is applied to the main menu. Click on the drop down arrow and your will see there are seven options including Accordion, Classic, Drop Down, Horizontal, Mega and Off Canvas. Select the Accordion Menu. Scroll down to Font Settings. Click on Systems Fonts and change the font weight from normal to Bold. Then click Select Font to close the window. Increase the font size from 12 px to 18 px. Also change the link colors from #ffffff (white) to #000000 (black). Then click the Green Save button. Then view the front end to see what this menu looks like. The Accordion Menu is still a simple list. Click on the Menus tab again and select the Main Menu. This time choose the Classic Menu. Then click the green save button and view the front end. You will see that this looks almost the same as no styling at all. Click on the Menus tab again and select the Main Menu. This time choose the Horizontal Menu. Then click the green save button and view the front end. Hover over the Second Category Menu item. The horizontal menu displays sub menu items in a line below the parent items. But it also displays the main menu in a list (by mistake). We will therefore not use this menu style. Click on the Menus tab again and select the Main Menu. This time choose the Drop Down Menu. Then click the green save button and view the front end. Hover over the Second Category Menu item. This is the most common menu type. Go back to Menus, Main Menu, Drop Down Menu to edit this menu style. 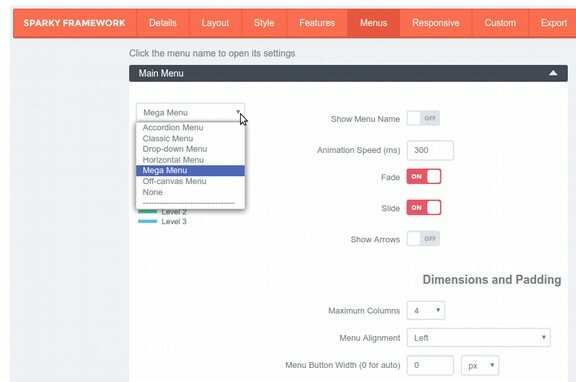 We will increase the Drop Down pane width to 360 px to allow for longer menu item titles. Then click on System Fonts and change the font weight from normal to bold. Then increase the font size from 14 px to 18 px. Change the link color from #666666 (gray) to #000000 (black). The hover color on the main menu is too light. It is dddddd. Make it 666666. For sub level font settings, change the font size from 12 to 16 and the link color from #666666 to #000000. Change the button color from #dddddd (Gray) to #ddddff (blue). Then click Save and View Site. This code adds style “classes” which we can then use to set the background color of individual menu items. To see what this looks like, click Save and Close. Then click Menus, Main Menu and select My First Category. Click on the Link Type tab. 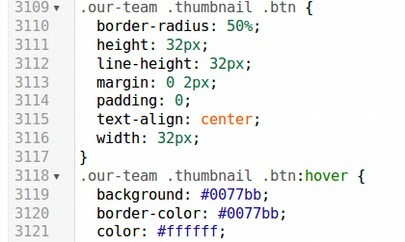 Then for Link CSS style, type in greenstyle. Click Save and Close. 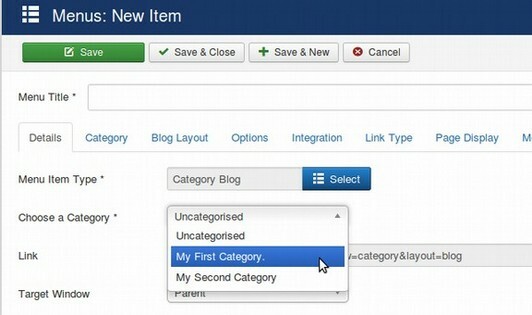 Then open My Second Category, click the Link Type tab and type in bluestyle. Then click Save and Close and View Site. 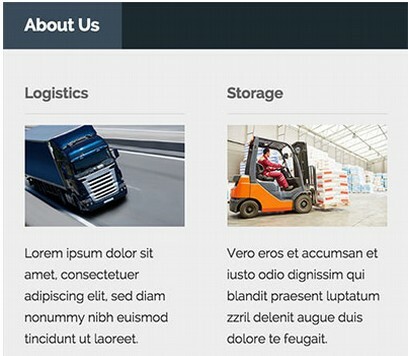 Being able to control the background color (and every other aspect of) each menu item is a huge feature that is not present on most Joomla templates and menus – even the most popular commercial Joomla menus lack this ability. There is a giant HOME title above the Welcome article title. To hide this, go to the Menus, Main Menu and double click on the Home Menu Item to open it. Click on the Page Display tab. Then type in a Browser page title and set show page heading to No. Then Save and Close and view site. There are a couple of minor problems with the Sparky menu. When you have a lot of menu items in the Main Menu, they do not drop down and form a new line. Click Download. Then transfer this tool to our website Extensions folder. Then install it with Extensions, Manage, Install. This tool does preserve transparency in png and ico images. But it will not resize our images. So we first need to create our 16x16 ico images – We can even have different ico images on each page. To add our icon, first enable the favicon plugin. Then go to Components, Favicon. Then click Create. Then click Choose Icon and select the icon from your home computer. Then click Add Image. Then click the Saving tab. Select the icon. Then click the Save button. Click Edit. Then click Publish. Then click Replace Template Favicon. This will cause the favicon to change to our custom favicon in the Firefox browser. But the Sparky favicon will still show in the Chrome browser. To fix this problem, click on Not Assigned. We could place different icons for different menu items here by selecting menu items. 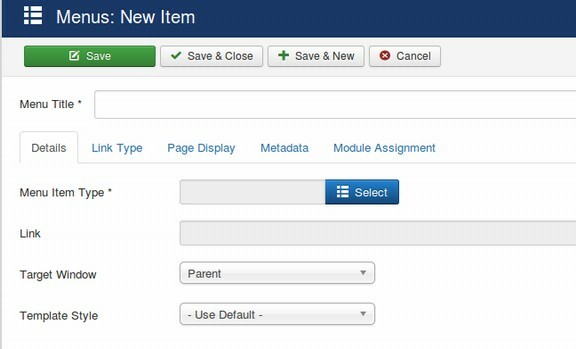 Then clicking Assign to assign our custom icon to all pages. Then clear your browser and view the front end of your site. Our custom favicon should now replace the Sparky template icon with all browsers. This completes our initial configuration of the Sparky template. In the next section, we will look a little closer at one of the most important tasks of building your own website... how to create your own custom header. A template is a predesigned set of forms that help you control the appearance of your website – including the layout and color of your website content. A template is one of the most important parts of your website. A good template should allow you to place any content text, images or video into any position on your website. In addition, a good template should allow you to quickly change the colors of any section of your website with just the click of a button. Sadly, there are people who teach online courses in Joomla who fail to do even a few minutes of basic research into template options before recommending a particular template to their students. There are Youtube videos with more than 100,000 views where the “instructor” recommends a template that is nearly impossible to use. 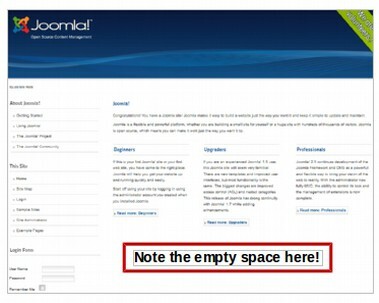 Even a basic amount of research, such as going to the Template category of the Joomla Forum or going to the Forum of the maker of the template, would reveal thousands of complaints from folks trying to get the template to work. Each of these 100,000 students are likely to blame Joomla for their problems rather than blaming the irresponsible instructor or template designer. If a person is going to claim to be a Joomla instructor, they should do at least a few minutes of basic research before posting videos on Youtube. 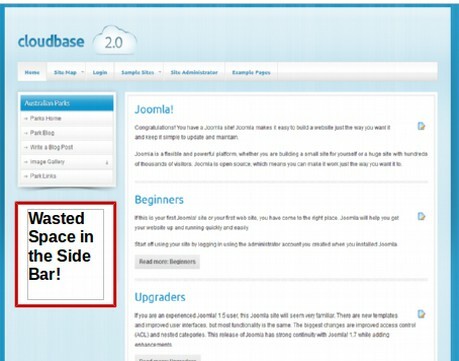 Because of the abundance of poorly made Joomla templates and bad advice given by some online instructors, we will review how to choose a template using a set of objective factors. After defining these factors, we will briefly describe why they are important and present a table of some of the current leading template options followed by a brief review of the advantages and drawbacks of each template. Our assumption is that the template will be used by a small business owner who has little or no knowledge of computer programming languages – but wants to have complete control over the appearance of their website so that they can make changes to the website easily as their business grows over time. #1 Why do we need a fully functional Free Version? I realize that template makers have to make money. But it is important to offer at least one fully functional free template for several reasons. 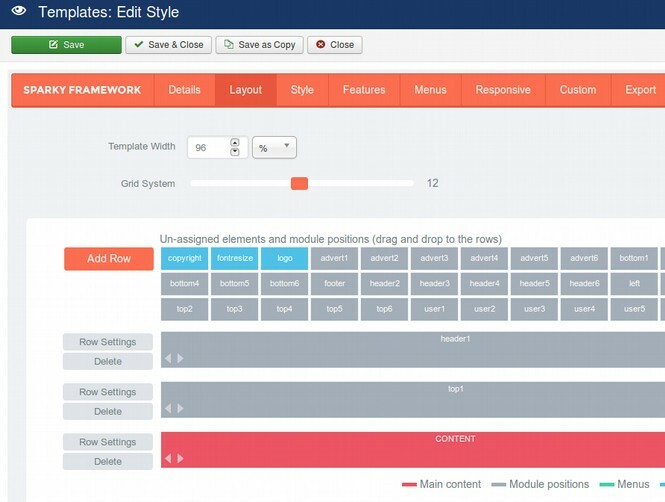 First, it is the best way for users to test out a particular template framework to see if it will work well with the particular layout and extensions being used on any given Joomla website. Second, for teachers such as myself, it is important to work with a free template so that students taking my courses do not have to make a major investment to learn how a template framework works. Finally, some unemployed folks who want to start a small business website simply cannot afford hundreds of dollars for commercial templates and extensions. #2 Why do we need a Grid Framework? The benefit of a grid system is that it allows for a variety of different layouts while still using the same template. Some businesses may want to display 4 products per row while others want to display three. Some rows such as the header row and slide show row might need an entire row, while other modules might take one half or one third of a row. 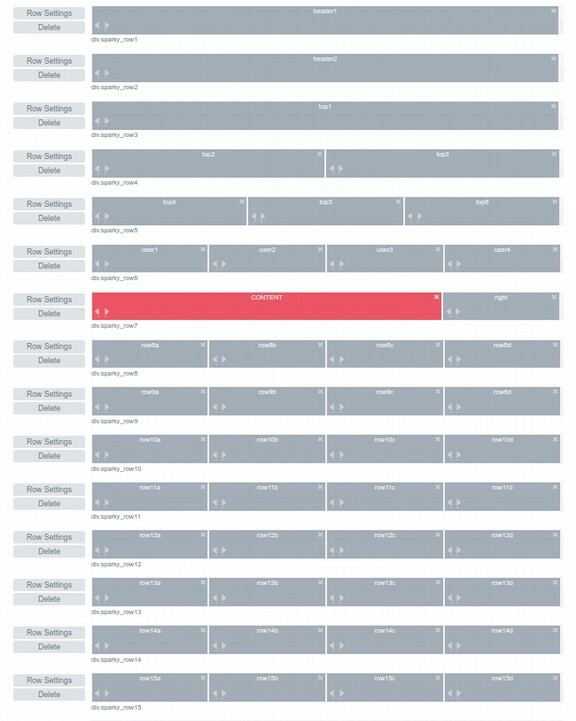 Therefore a template should be able to set different rows to different configurations with just the click of a button. #3. 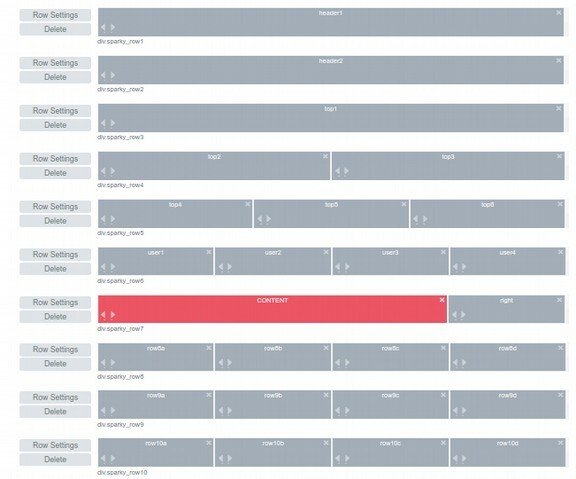 Why do we need an Adjustable Number of Module Position Rows? The space above the main content on your HOME page is the most important space on your website. It is what every viewer sees first when they visit your website. This space needs to be interesting and informative. A typical viewing screen will only be about 7 inches high meaning that your top 700 pixels are extremely important. The first thing a person sees should be a full width header that is between 100 to 160 pixels high. Think of your website header as being like the cover of a book. Underneath the header should be a full width horizontal menu about 40 pixels high displaying the main categories of your website and allowing readers to click on drop down menus for products and articles on other pages of your website. Below this should be a full width slide show which explains what is unique about your website and why readers should take the time to continue reading your website. This will be about 300 pixels high. This leaves about 200 pixels high for feature boxes with links to the most important pages on your website. Then after this comes your main content. 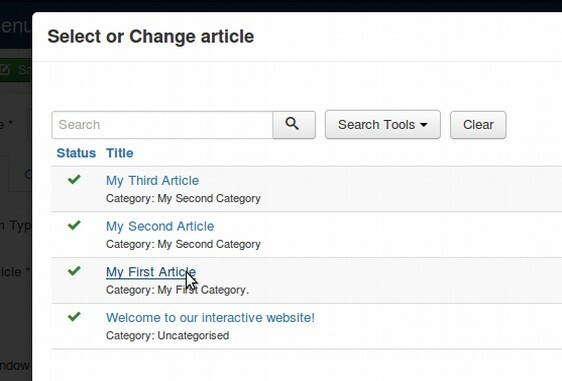 This means you need at least four fully configurable rows above the main content area. 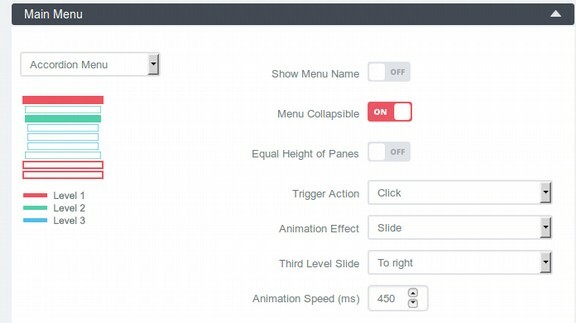 Sadly, because web developers typically place all kinds of rigid coding in the highest row (to format logos, search boxes, registration boxes, top menus and other stuff), the quickest way to take control of your website is to simply turn off the top row – if it is possible and place your header into the second highest row. This means you may need at least five rows above the main content. More rows also make it easier to place more modules above the main content. There is no real drawback to having an abundance of rows and positions as any unused rows will not be shown. There are several problems with this arrangement. First, it is extremely limiting. 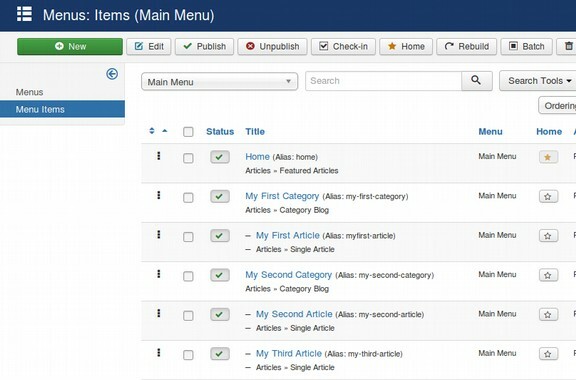 What if we have four rows of products or feature boxes we want above our Joomla articles and four rows below our Joomla articles? What if we want three or four columns in some of these rows? 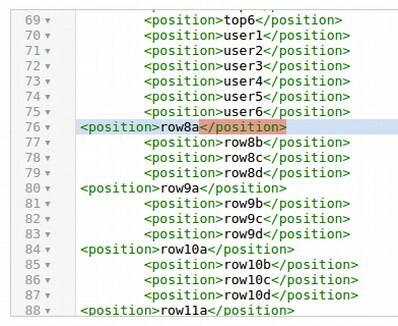 Equally important, when we create custom content, which Joomla calls custom modules, we need to remember that Position 1 is above the Joomla content, Position 7 is to the right of it and Position 2 is below it. 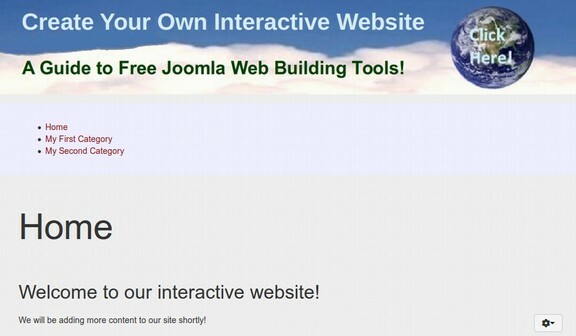 This problem is not limited to the default Joomla template. 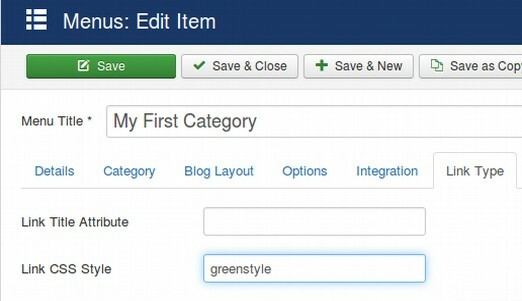 With nearly all Joomla templates, we are stuck with whatever module positions the maker of the template was willing to add and we need to remember their naming convention in order to place our custom content where we want it on the page. Sparky Template Framework allows us to create any number of rows. 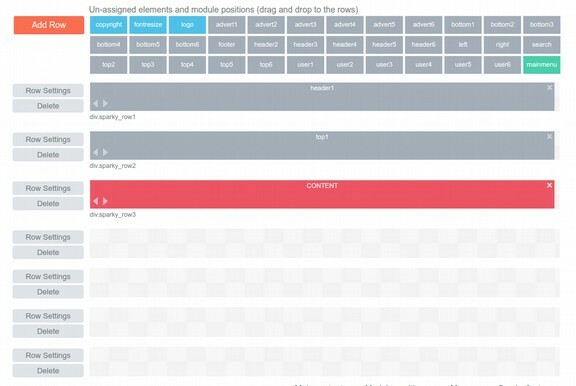 A huge benefit of the Sparky template framework is that it allows us to easily create our own module positions and assign them to wherever we want in our template. The process is extremely simple. In a matter of minutes, we can create the following template structure which gives us 20 or more rows with 4 or more columns each. This is in addition to positions directly beside, above and below the content. 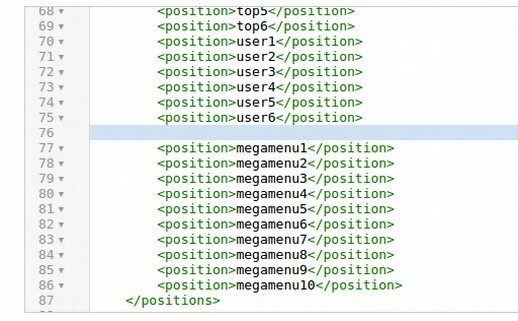 Any unused positions are simply not shown. Moreover, you are not limited to this arrangement. 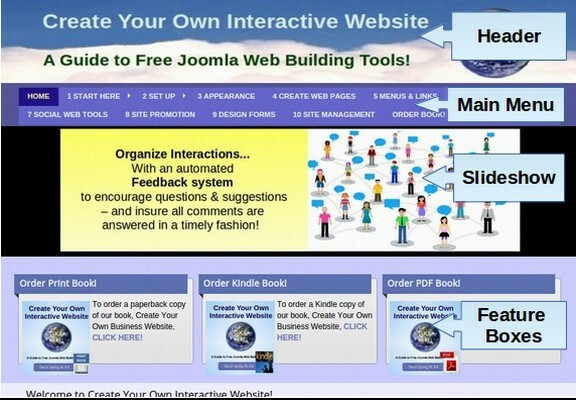 You can create whatever arrangement you need for your online store or social organization. You can even create different arrangements for different pages of your website. 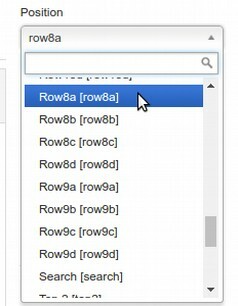 Finally, with the click of a button, you can customize the appearance of each of these rows. 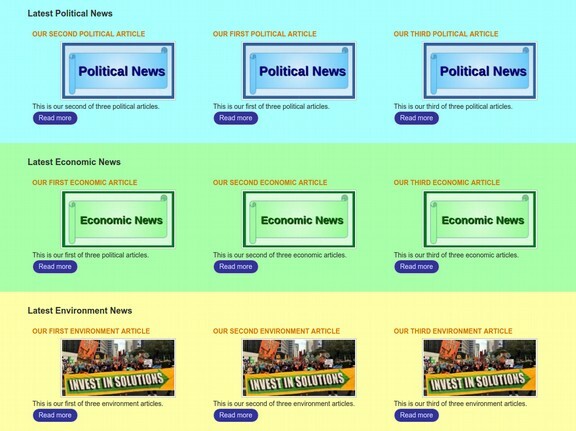 Here is an example of our Demo News website using different row colors to help separate the various news subject categories (each of which displays the three latest articles in that subject). #4. Why do we need a simple framework system? 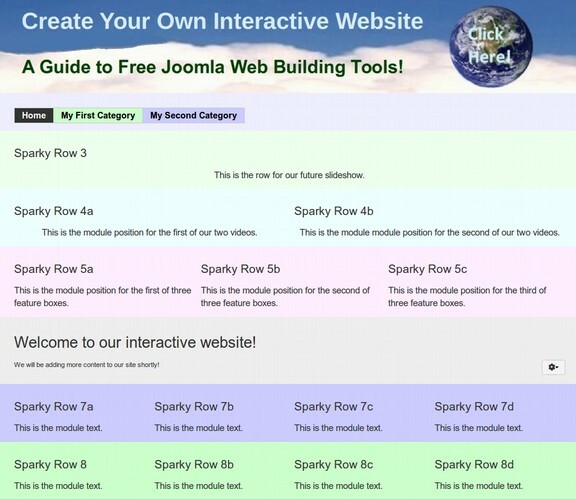 There are other Joomla template frameworks besides Sparky that allow us to create our own module rows and columns. The problem with all of them is that they are extremely complex. They seem to be written by computer programmers for other computer programmers. The average website owner simply does not have the time to learn the complex processes involved in complex template frameworks. One of the most important features of Sparky is its simplicity. #5 Why do we need simple Custom CSS? In the past, folks often used CSS coding in the CSS style sheets to change the background colors of various parts of their website. Sadly, with the complexity of Joomla 3 Responsive templates, it is becoming increasingly difficult to even find the location in the coding where you can change the color of a particular section of your website. 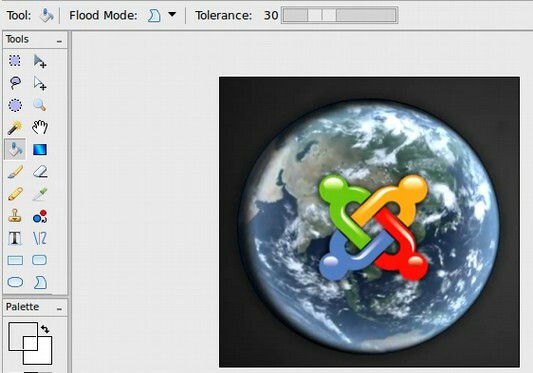 Many Joomla templates, including those by Rocket Themes, Joomlart and Shaper have a huge number of CSS sheets – as many as 30 CSS sheets with some CSS sheets running over 3000 lines. Finding where to make a change in these sheets is like looking for a needle in a haystack. In the past, we could use a free tool called Firebug in conjunction with a free web browser called Firefox to locate the exact sheet and the exact line in a sheet where a change in coding needs to be made. 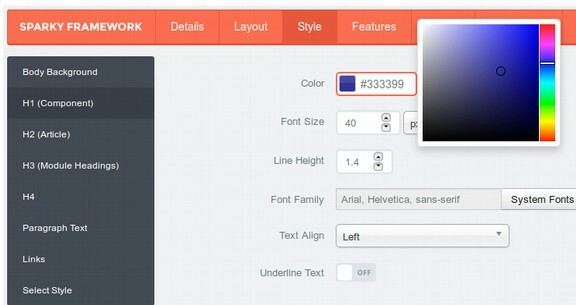 Thus, if you knew CSS, you could customize your website in a few minutes. 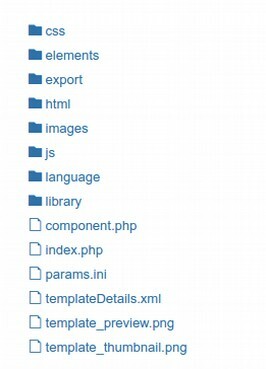 But now even a basic template like the default Joomla template Protostar uses LESS sheets which hide the location of CSS elements. While Protostar has only three CSS sheets, one of the sheets is over 7,000 lines long! For example, to locate the background color of the Our Team module in the Purity III template, you would need to go to Extensions, Template Manager. Then click on Templates in the upper left corner. Then select the Purity III Template Files. Then open the CSS folder. Then select and open the Template.css file. Then scroll down to line 3119. 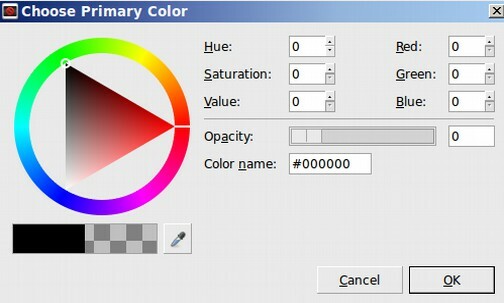 Sadly, as we explain below, you will need to go to or create a different file to actually change the background color! The Rocket Themes Gantry templates suffer from a similar problem. This combined with the unique terminology and processes of the Gantry system makes Gantry simply too difficult for the average user to learn. Thankfully, we have an alternative to this CSS and template complexity madness. Sparky keeps their template CSS files much shorter and fewer in number and it is generally possible to use Firebug to analyze this template. They are still able to make the template responsive so that images get smaller as the screen width gets smaller. Having a custom.css file is important because not all changes can be accomplished with color pickers and module position clickers. Sometimes you need to make a change in the CSS. With a Sparky template, you will not have to spend all day reading through thousands of lines of coding just to make a simple change in the appearance of your website. #5 Why do we need to be able to adjust the Header? Because the header is the first thing your customers will see, it is essential that it tell a story about your business. This means you need to have full control over the text and images used in your header. 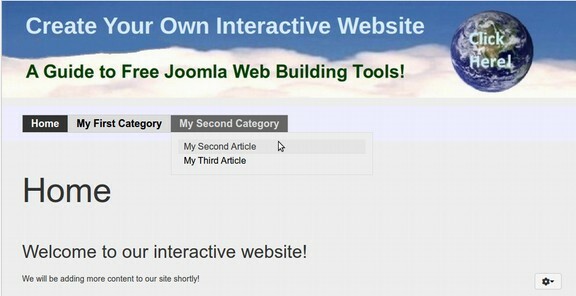 In Joomla, full control of a particular spot on your web page is best gained by using an HTML custom box. This in turn requires turning off anything else that is in this top module position. 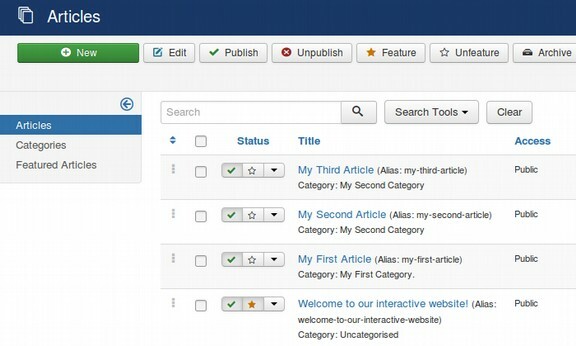 Sadly, with many templates, it is very difficult to turn off the existing content in the top of the website. A huge benefit of the Sparky template is that it uses simple custom modules for each row. This makes it very easy for us to place a custom header in the highest row without any modifications of the template. 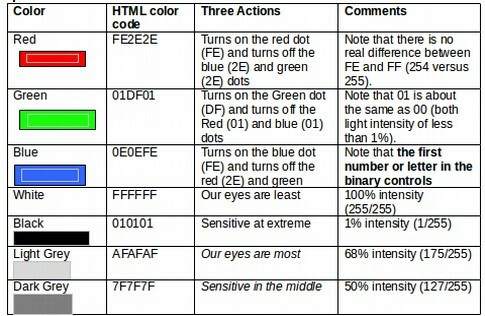 #6 Why do we need Color Pickers? Using different colors on different places of your website not only looks good and makes your website more interesting to look at, but it also offers readers a visual clue that different parts of your website are featuring different content and being used for different purposes. It is therefore important that each row of your template have a color picker which allows you to easily change the color of that section. Even subtle changes in color can make your website more readable and understandable to your viewers. Sadly, very few free templates offer this feature. Thankfully, one of the few that does is the Sparky template. In fact, each row has several customizable appearance settings as shown below. Thankfully, we have an alternative to this CSS madness. The Shape 5 keeps their CSS files much shorter and fewer in number and it is generally possible to use Firebug to analyze this template. They are still able to make the template responsive by using a different process to create a series of different adjustments as the screen width gets smaller. This is important because not all changes can be accomplished with color pickers and module position clickers. Sometimes you need to make a change in the CSS. 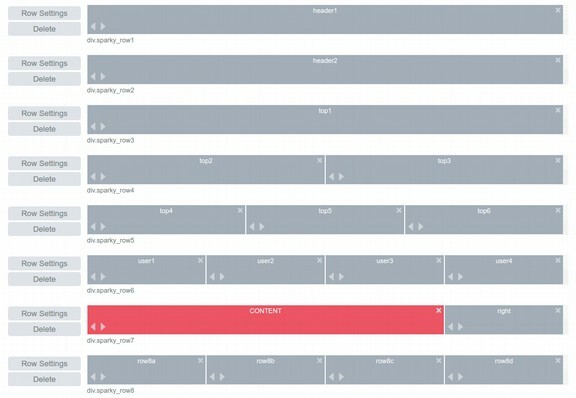 With a Shape 5 template, you will not have to spend all day reading through thousands of lines of coding just to make a simple change. #7 Why do we need to be able to turn off template maker branding? I understand that with a free template that the template manufacturer might want you to leave their brand on the template as a form of advertising. Some in fact legally require that you leave their brand turned on. But such a policy is extremely shortsighted as it makes it difficult to impossible for an instructor like me to recommend or teach about such a template during a course at a public college or University. Private logos are not allowed in many courses. In addition, many of my students are public school teachers. Promoting private logos is certainly not allowed in most public school districts. Finally, many non-profits do not allow promoting private logos. For all of these reasons, it is essential to be legally allowed to turn off any branding – and also that turning off such branding can be done without a huge amount of time and effort. With the Sparky template, because we will be using our own modules for the content, there is no problem creating an unbranded template. Sparky even allows us to export templates we design and put our own brand on the template! #8 Why do we need complete Template Customization Documentation? It is not possible for me to cover every single feature of a template that might be needed by a small business owner. It is therefore important that the template maker offer complete instructions on how to use their templates. Sadly, it seems that the more complex templates become, the less information is provided on how to use them. This can be extremely frustrating if you are trying to get your business website up and running and there is no information available about how to make a simple change to your template. #9 Why do we need a template forum with a knowledgeable helpful staff? Ideally, it would be nice if the answers to how to customize a template were provided in the documentation for the template. But there are always going to be some problems that remain even with the most carefully designed templates. This is why it is important to have access to a forum where you can read about how other people solved similar problems and if a particular question has not been answered, where you can register and ask the question yourself. But having a forum is not enough. We also need the person who answers the question to be able to present answers in a clear step by step fashion. Sadly, the people who oversee most forums know more about computer programming than they know about education. Their answers are often incomprehensible. On some forums, thousands of very important questions are not even answered at all! Even the most knowledgeable forum staff often give very incomplete answers. They often fail to provide directions to the exact file that needs changing and the exact steps needed to change a file. Other times, they refer the reader to an entire manual to read. Often, these manuals also fail to explain how to solve a particular problem. The real problem is that the forum staff are better at computer programming than they are at explaining precisely how to solve problems. #10 Why do we need custom export? 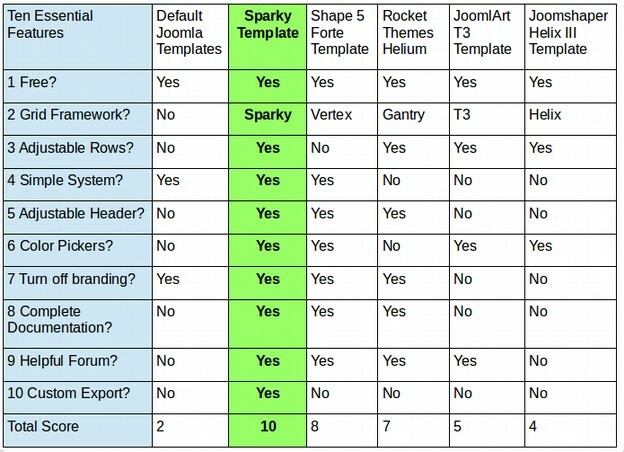 Sparky offers a unique feature of being able to rename and export the template in a package that can then be sold, given away and/or reloaded to another website using the standard Joomla installation process. Thus, if you have 20 different websites, you can make the changes you want to just one of them and then export the customized Sparky template and then install it on the other 19 websites. You can even offer it as a free download to your students if you are teaching a class. In fact, you can make several Sparky templates and offer all of them to your students as a way to learn about how to make templates. You can even start your own template club or business and sell your customized Sparky templates on the open market. 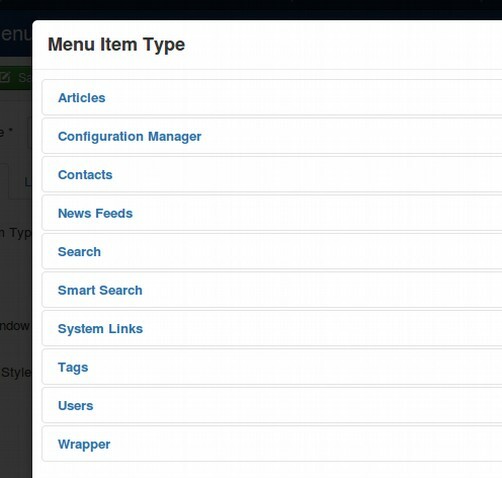 You can create multiple menus and easily assign different styles for each menu and have complete control over which pages on your website display which menus. One drawback of the Sparky Template Framework is that it comes with almost no preset styles for our modules. Sparky assumes that you know how to make your own module styles using CSS (Cascading Style Sheets). But many people have no idea how to create or use CSS. 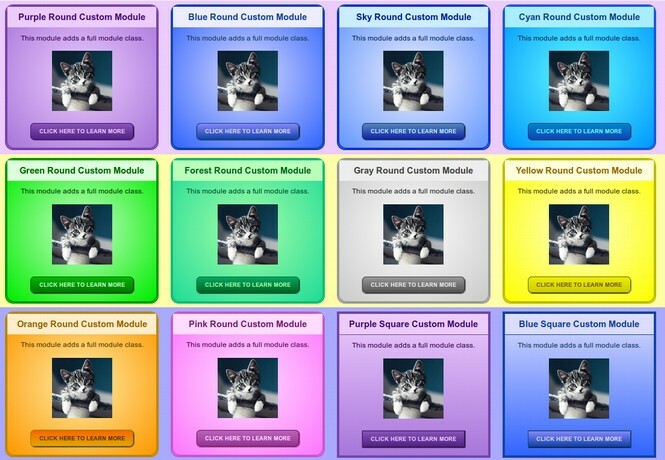 We have addressed this problem by creating the Rainbow Template System – which comes with 10 Preset Round Module colors and 10 Preset Square Module colors. The Rainbow Template System also comes with 20 preset colors which allow us to use different colors for each menu item in our main menu. The Sparky Template Framework allows us to easily set the background color for each row to whatever we want. 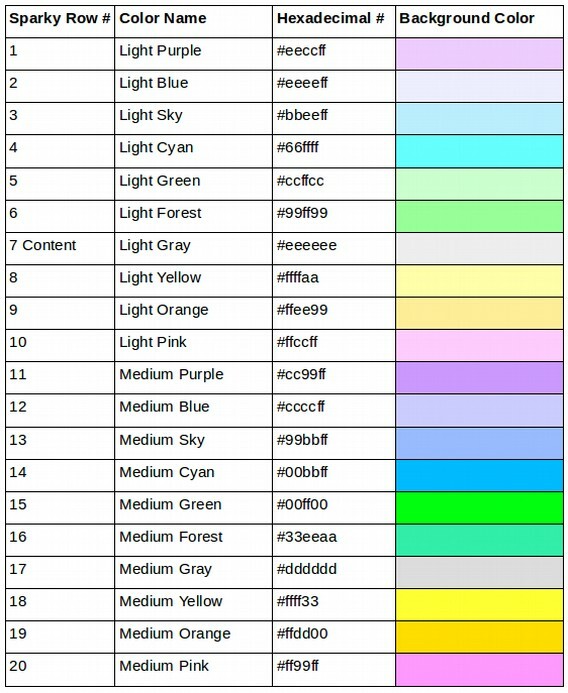 Here are the preset colors for our Rainbow template. 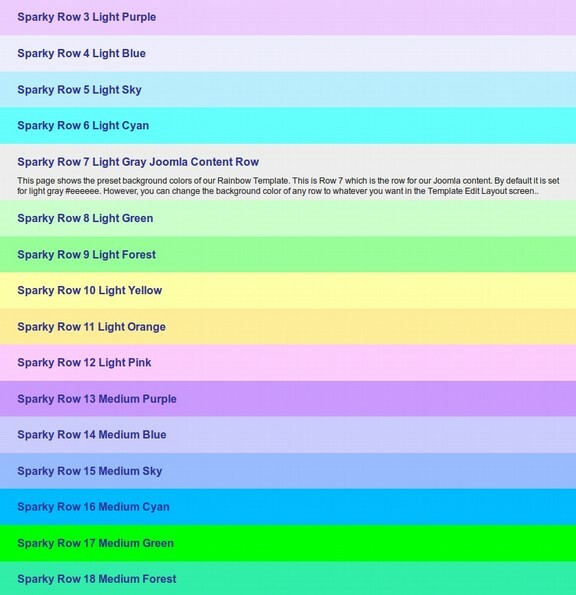 But it is very easy to change these colors to whatever you want. You can even use images for backgrounds for any row. In the next section, we will review how to download, install and configure the Sparky template and how to download our free Rainbow Template System.